Welcome to the Greyton Small House, a true Greyton cottage! With a beautiful garden and large sparkling swimming pool, an eclectic style décor and a well-equipped kitchen, it’s a home away from home. 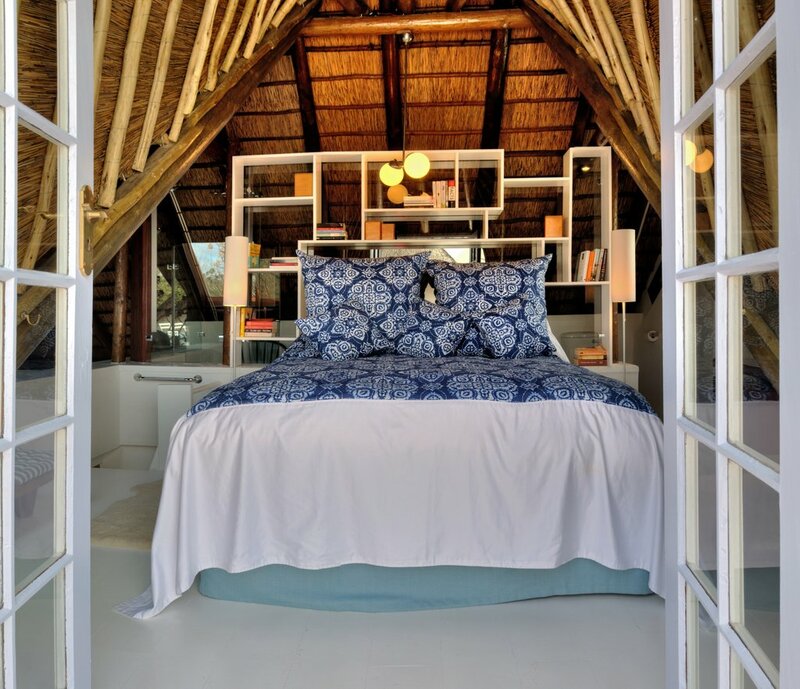 With special detail to quality linen, fresh towels and upmarket amenities, this cottage promises to revive your soul and soothe your senses. 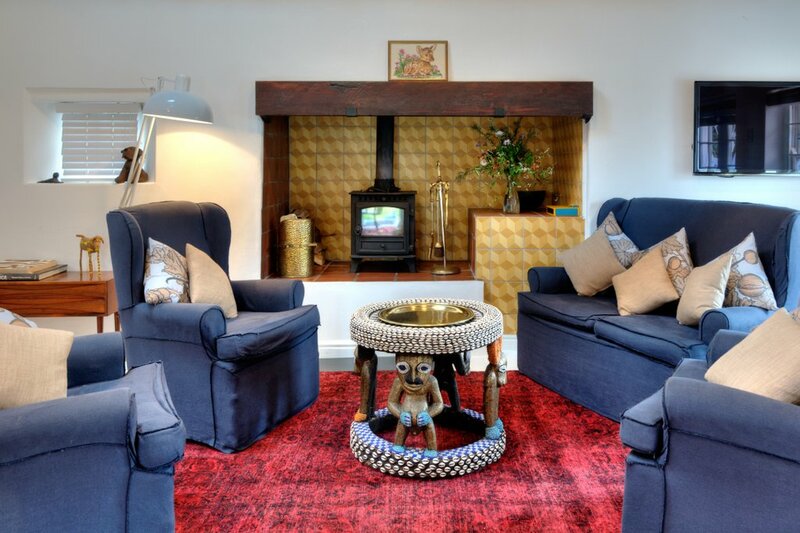 This self-catering cottage with open plan kitchen is fully equipped, provides a comfortable lounge with fireplace, 6-seater indoor dining area and the undercover patio with a lovely water feature seats 4-5 people comfortably. 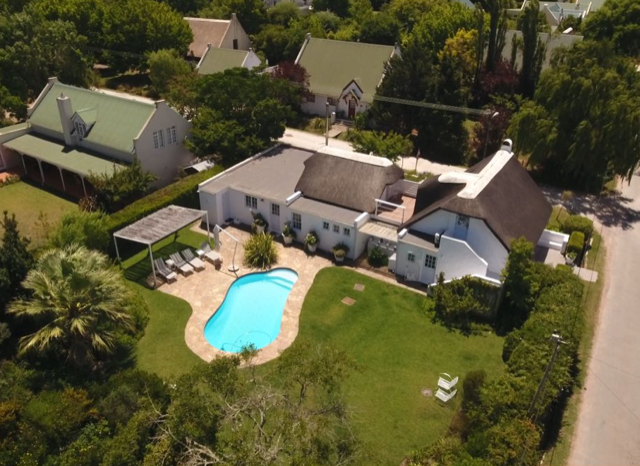 Greyton Small House boasts two inside fireplaces, new air-cons in both bedrooms, TV with Blu-Ray DVD, Premium DSTV, Dolby surround music system, a garden braai and a lush, sheltered courtyard with a water feature. There are 2 en-suite bedrooms, the main bedroom downstairs with King XL bed with fireplace and en-suite bathroom with bath, shower, basin and toilet, walking out on a sunny pebble stone quart yard with comfortable undercover patio furniture. 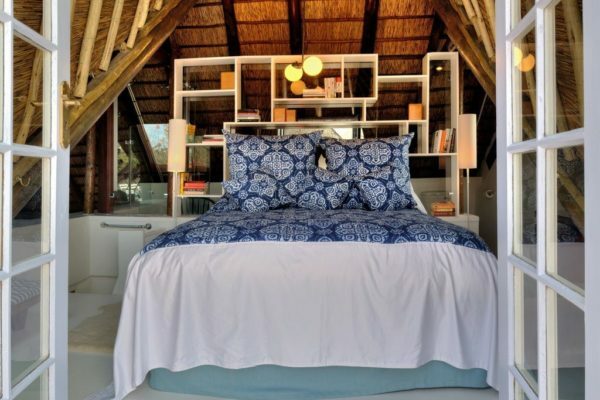 The second bedroom is situated upstairs with XL Queen bed, built in wooden ladder access from the lounge and an outside staircase separate entrance with en-suite open plan bathroom with Spa-shower, basin & toilet, walking out on a sunny private terrace with seating for two people. A sparkling pool is situated in a large beautiful garden (watered with tank water) with lovely mountain views, with built in braai facilities and patio furniture/pool loungers. There is an extra garden toilet and an outdoor shower. Safe off-road parking for two cars. 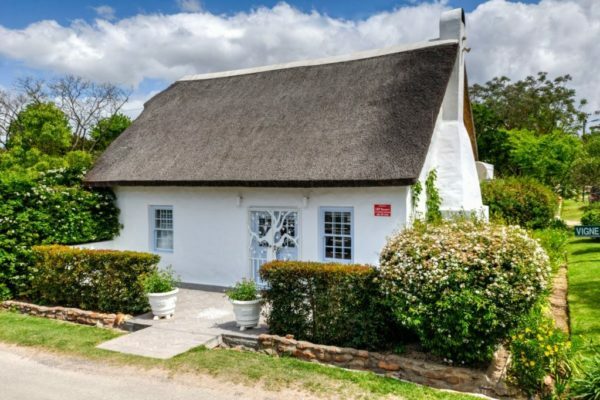 The cottage ideally sleeps 4 guests and will be best suited for adults, an additional sleeping mattress (2,10m x 0,70m) can be provided on request. Pay-stay specials can be accumulated e.g. pay 6 stay 10. For environmental reasons we encourage the careful use of the aircons. Check in from 3pm, check out 10am – we often can grant late check outs and early check ins, please enquire.